Repurposed vintage & contemporary fabric upcycled and reworked into unique tote bags in timeless designs. Your tote bag will arrive in eco-friendly / upcycled packaging. 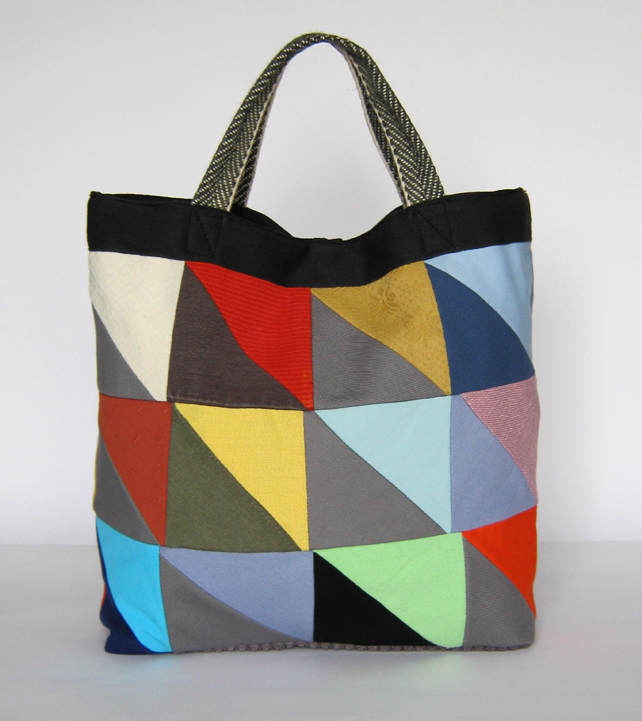 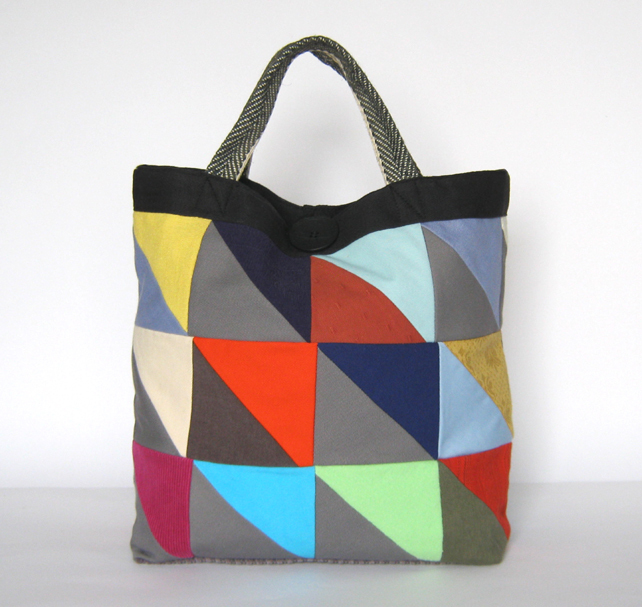 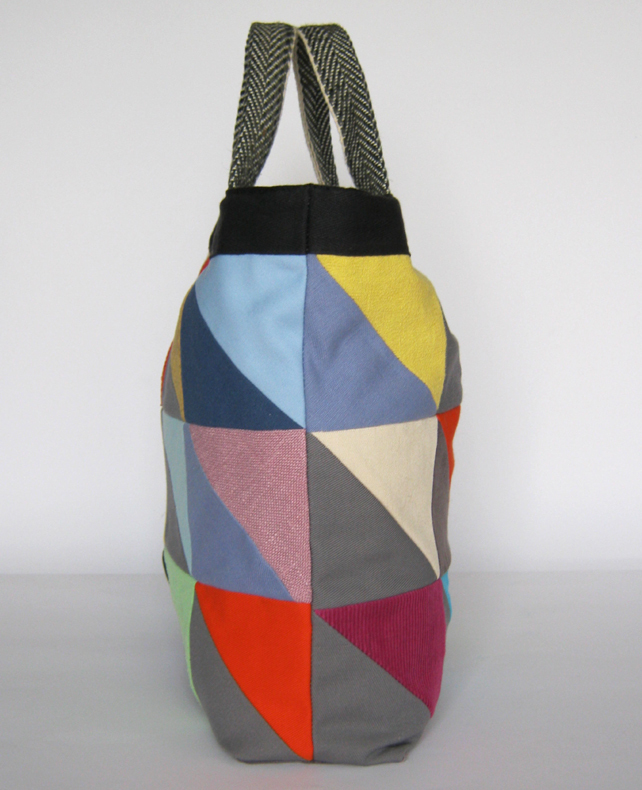 This art-inspired patchwork tote bag is made with 1/2 square patches of cotton, barkcloth & silk and has a base of Grey jumbo cotton corduroy . 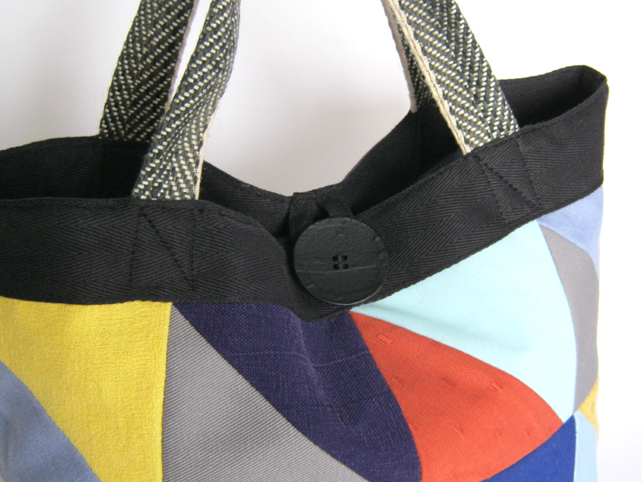 Softly structured with a sturdy cotton lining, webbing handles and trimmed with Black herringbone cotton twill tape. 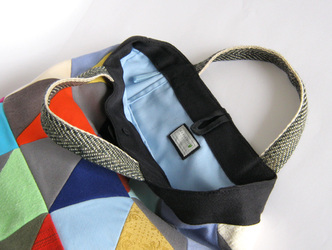 The tote is fastened with a large textured button & loop and inside there is a key loop & a generous pocket measuring 23cms x 14cms - 9" x 5.5". 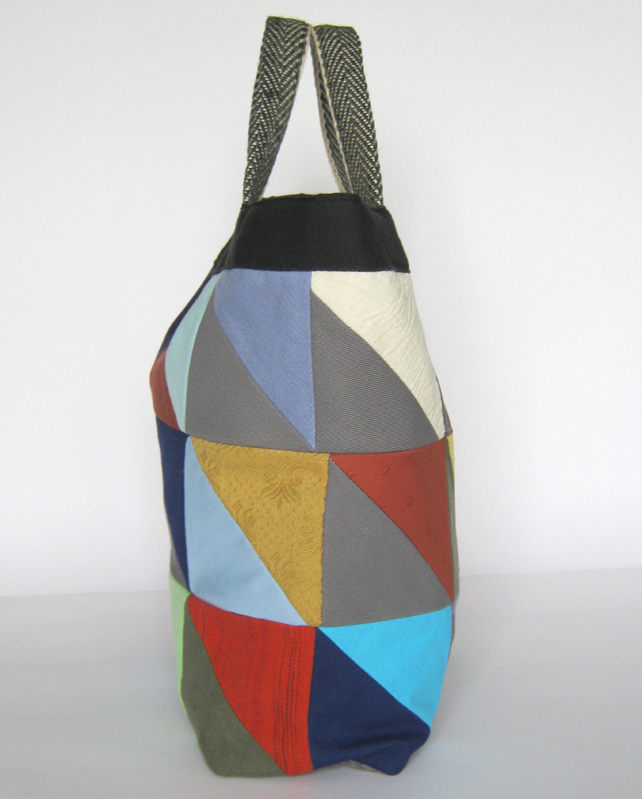 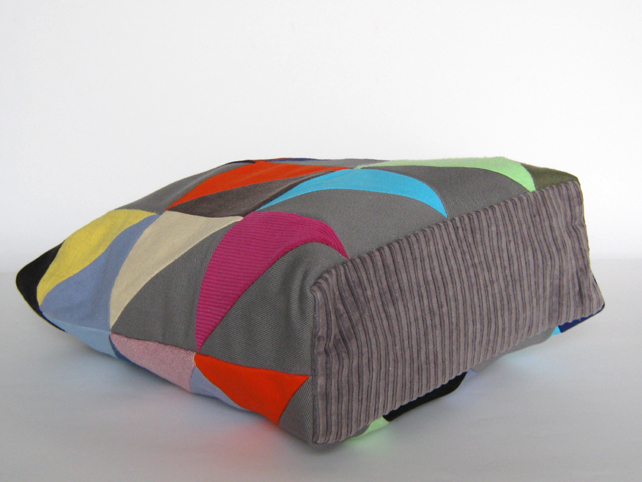 dimensions: h 32cms x w 36cms x d 10cms - 12.5" x 14" x 4"
Made with 100% upcycled fabric.